Since Dominion Lending Centres acquired control of MCC, the broker network has not lost a single brokerage, according to its CEO, addressing speculation. In June of this year, Dominion Lending Centres announced that it had acquired The Mortgage Centre in a move that solidified DLC’s position as the largest brokerage in Canada. "We are very excited with this purchase as it further demonstrates DLC's long-term commitment to the Canadian mortgage brokering channel," Gary Mauris, president of DLC said in an email sent to the network's members in June. "It also solidly positions DLC as the clear leader in origination, the number of mortgage professionals and the number of locations coast to coast." 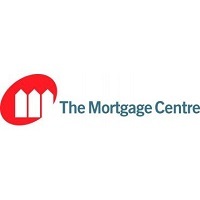 And if there were any fears that the quality of service provided by The Mortgage Centre would suffer, Cocciollo is quite to shoot such talk down. Of course, the partnership has come with its perks. After all, what’s the sense of joining the largest broker network without benefitting from the resources?